The Westerfield Beaver Colony will be reopening in November 2012 for children from 6 – 8 years old. 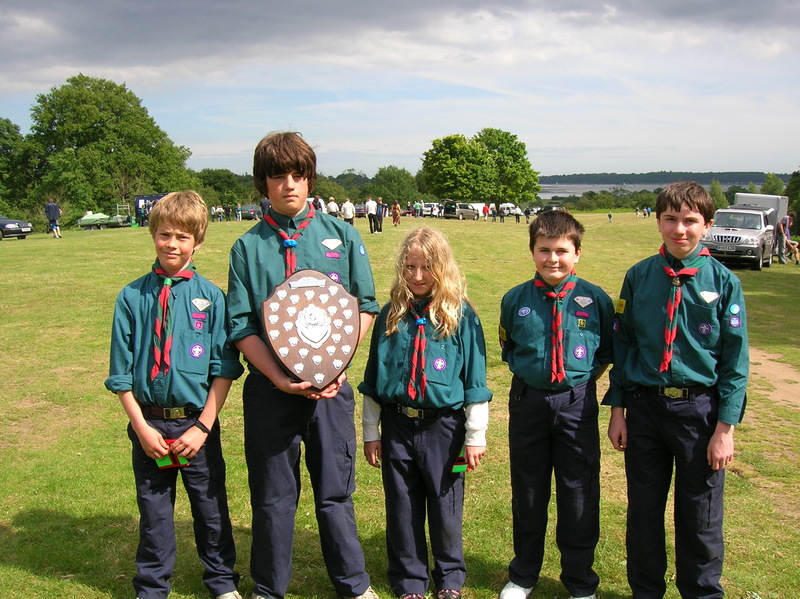 Five Westerfield Scouts camped with the neighbouring Orwell District this weekend. They had a great time joining in all the activities, but the highlight of the camp for them (and the Leaders) was being presented with the ‘Stoker Challenge’ Shield which is awarded to the Troop that gets the highest points for a challange that is set during the camp. This year the challange was to build a camp gadget and Westerfield went for a dresser for washing up and draining, James Hughes did most of the work on this. 2.00pm in the Paddock next to the village hall. Plant sales, Cream teas, crate stacking, prize draw and a rope bridge. A team of four Westerfield scouts came second in the District air rifle compeition at Aldeburgh on Saturday. Well done to Will, James, Nat and Jonathan. Westerfield Cubs and Scouts visit TWAM. 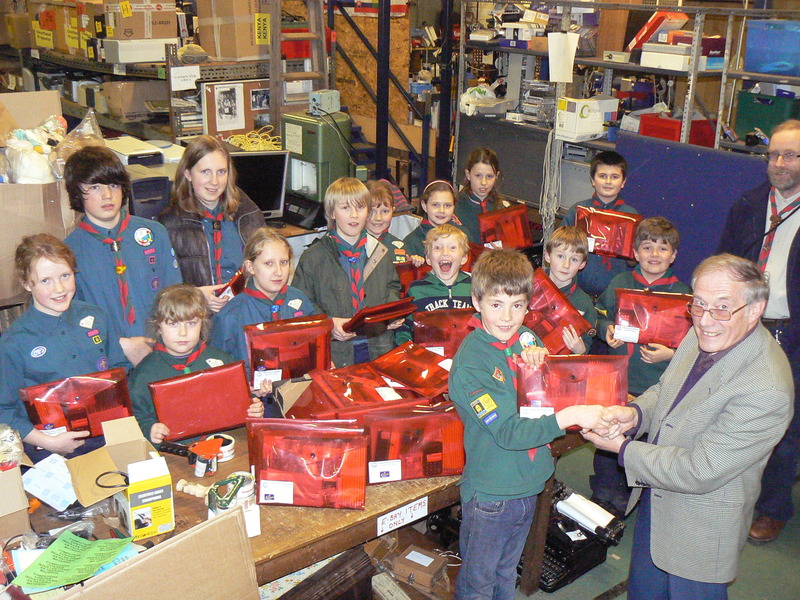 On Wednesday 29th February Westerfield Cubs and Scouts visited the TWAM ( Tools with a mission) warehouse in Ipswich where they were shown around and the work of the charity was explained. During the visit they handed over 40 Scholar packs which were funded by the collection taken at the Groups carol service and packed by the Cubs and Scouts.